According to the American Optometric Association (AOA) children should have their eyes examined by a Poway eye care expert at 6 months, 3 years, at the start of school, and then at least every 2 years following. If there are any signs that there may be a vision problem or if the child has certain risk factors (such as developmental delays, premature birth, crossed or lazy eyes, family history or previous injuries) more frequent exams are recommended. A child that wears eyeglasses or contact lenses should have his or her eyes examined yearly. 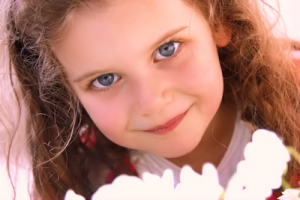 Children’s eyes can change rapidly as they grow. You can ensure that your baby is reaching milestones by keeping an eye on what is happening with your infant’s development and by ensuring that you schedule a comprehensive infant eye exam at 6 months. At this eye exam, our Poway eye doctor will check that the child is seeing properly and developing on track, and look for conditions that could impair eye health or vision (such as strabismus (misalignment or crossing of the eyes), farsightedness, nearsightedness, or astigmatism). Since there is a higher risk of eye and vision problems if your infant was born premature or is showing signs of developmental delay, your Poway optometrist may require more frequent visits to keep watch on his or her progress. Parents should also be aware of any developmental delays having to do with object, number or letter recognition, color recognition or coordination, as the root of such problems can often be visual. If you notice your child squinting, rubbing his eyes frequently, sitting very close to the tv or reading material, or generally avoiding activities such as puzzles or coloring, it is worth a trip to the eye doctor in Poway, CA. If Dr. Odish does determine that your child has a vision problem, they may discuss a number of therapeutic options such as eyeglasses or contact lenses, an eye patch, vision therapy or Ortho-k, depending on the condition and the doctor’s specialty. Since some conditions are much easier to treat when they are caught early while the eyes are still developing, it is important to diagnose any eye and vision issues as early as possible.